Funky, edgy, uber-cool. Come here for the Indo-western cocktail gowns and saris. See more details in the video. 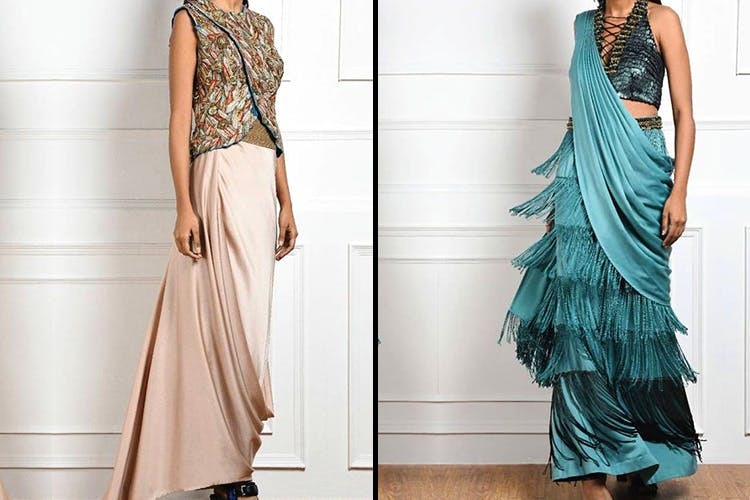 Recommended For: The bride’s cocktail outfit OR the pre-draped quirky saris for your sister’s (or brother’s) cocktail or mehendi function! Price range: 1 lakh for lehengas, 25-50k for saris.